Runtime:126 min. Rated PG-13 for sequences of intense sci-fi action and violence, some sexuality and language. Like many movies this summer The Wolverine is a sequel; the story unfolding sometime after the third X-Men Movie X-Men: The Last Stand (2006). 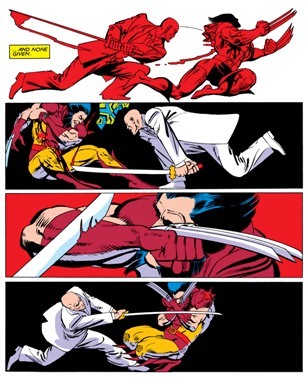 A significant amount of the story is taken from the 1982 comic books series penned by Chris Claremont with pencils by Frank Miller.By how the story is told there is an expectation the audience will at least know something about who Logan (the Wolverine) is. It also expects viewers to know about events from past film adaptations of X-Men adventures and, to a lesser extent, the contents of the comic books. For example, a viewer will need to know about a pivotal event from the end of X-Men: The Last Stand in which the film showed the apparent death of Jean Grey (Famke Janssen), a fellow mutant whom Logan loved, and still loves. She, however, was not his to love and he was put into a terrible situation where he had to kill her to save others because she was becoming a terrible villain. The Wolverine picks up from this story with a now reclusive Logan living in the Canadian Yukon sporadically coming into town for supplies. He's basically wandering the woods guilt-ridden over his part in Jean Grey’s death and is wrestling with his own troubles. The beginning of the film is set near the end of the American conflict with Japan in WWII. Logan's a POW, locked away in solitary confinement. The camp is in the Nagasaki region, and seeing American bomber planes approaching, a young Japanese solider named Yashida in the midst of the chaos releases American soldiers from their cells including Logan's solitary confinement cell. As Japanese officers commit hara-kiri Logan rescues Yashida from the distant blast of the atomic bomb displaying his unique mutant ability to withstand injury and heal rapidly. On the surface it seems the stage is set for something epic, but this isn't the case. 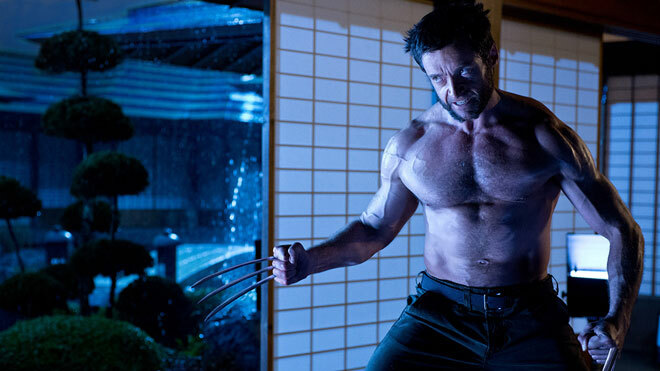 The Wolverine’s strength as a film is its smaller reach. Generally, the stakes are less epic and the character stakes more epic. Unlike in this summer’s Man of Steel, where Superman had to save the whole world single-handedly, Logan finds himself embroiled in a relatively small-scale feud between the family members of a powerful Japanese clan that owns and operates a futuristic technology corporation. It also turns out that the aging tech giant CEO is Yashida, now advanced in years, he is near death and concerns centre around his last will and testament. Yashida offers to undo Logan's mutant powers and render him "normal" so Logan can live an average life and die as others do. Logan's first response is to say, "What they did to me, what I am, can't be undone." to which old Yashida says, "Don't be so sure." What starts out looking like mercy — an old man wanting to thank Logan for saving his life by giving him the one thing he thinks Logan wants, which is to die and pass into the afterlife to be with Jean Grey — turns out to be something else. Yashida is ploting to steal Logan's mutant powers for himself so he can reverse his own aging, prevent his looming death, and hopefully live forever. At this point The Wolverinebecomes an investigation of Logan's virtual 'immortality'. Although the Psalmist writes, "Precious in the sight of the LORD is the death of His saints," what happens if a character can't die? Within the 'cosmology' of the Marvel Comic’s universe this is the unique mutant attribute thrust upon Logan by military scientists. His bones are infused with an especially hard fictional metal alloy called adamantine from which is ‘claws’ are made. When wounded, he heals almost instantaneously rendering him practically indestructible. Generally, this makes Logan reckless, world weary, and jaded. Where the film excels is in its depiction of Logan grappling with the gradual loss of his mutant powers and his mortality. There is a fabulous scene set at a Shinto funeral where Logan, after receiving his 'gift' of mortality from the man he saved so many years ago, is unexpectedly shot with a single bullet and what would have hardly slowed him down in the past stops him 'dead' in his tracks. He feels for the wound, finds blood and discovers he's losing his unique mutant ability to withstand injury and heal rapidly. Suddenly the viewer is drawn into Logan's physical pain which adds a visceral quality to the film frequently missing in super hero movies. In another brief moment, the camera lingers on the mighty Wolverine limping; another illustration of this theme. We’ve seen this kind of thing before in film and comic books and it even has its source in Scripture. Remember the biblical account from the book of Judges where the powerful Samson is rendered weak when Delilah cuts off his hair? In The Wolverinethe resulting struggle which follows Logan’s diminishing mutant powers is well told. Part of this is because Hugh Jackman has played Logan six times and will continue to do so in the upcoming X-Men: Days of Future Past which is in post-production and set for release in 2014. He owns this role, inhabiting the character in a way that lends a great deal of genuineness to the struggle Logan faces as he contemplates the nature of his personal mortality. The Wolverine is not faster than a speeding bullet, and this is a good thing. Even in the trailer viewers get a big heads-up that the film will address the themes of mortality and immortality, the ephemeral and the eternal. Yashida’s voice is heard saying to Logan, "Eternity can be a curse. The losses you have had to suffer... a man can run out of things to care for, lose his purpose." This sets up two things: 1) a contemplation of what eternity is and a person's place in it and 2) contemplation on the nature of vocation. As to the question about nature of vocation, the film also works well when it's pitting Logan's 'vocation' of super hero against his growing inability to fight as a hero. Interestingly, Logan contemplates this throughout the whole film, even before the deterioration of his mutant powers. At one point he says to the granddaughter of old Yashida, "Your grandfather called me a Ronin, a samurai without a master; destined to live forever, with no purpose to serve." 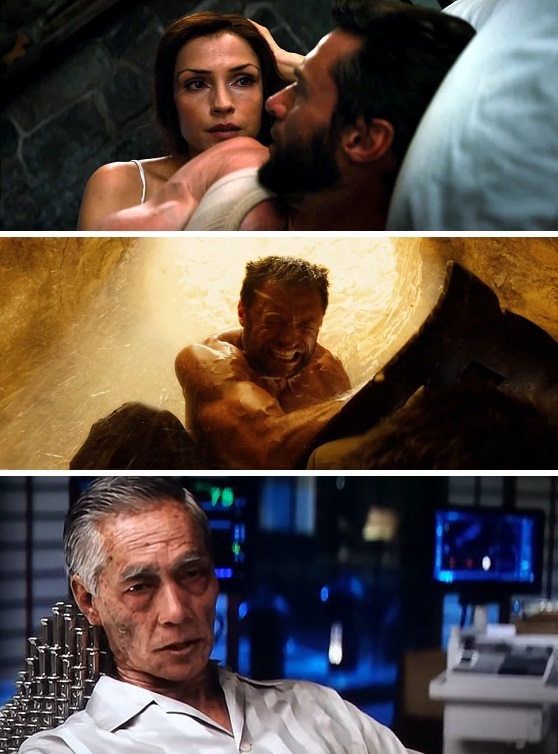 The movie asks the question, “What happens when you've lost your sense of purpose but you haven't lost your obvious vocation?” This gets back to Logan's grief over his part in the death of Jean Grey and the resulting loss of his sense of 'vocation' as super hero even though at the beginning of the film he still had all the super hero attributes. Lingering in the wings is a darker question concerning the quality of a person's life as related to vocation and what that means in relation to life, death and a person's worth. Logan is an overstated cartoon picture of perfect health, yet in many ways he's lost the will to live. A Christian may think of real people who are physically sound yet struggle with thoughts of suicide or they may think of those society deems as serving no purpose, people who the world considers weak and have such a poor “quality of life” that their claim on life is erroneously forfeited when weighed against the desires of others. Somehow the world considers vocation only as something a person does, while Christians recognize that some vocational relationships are built upon receiving and providing someone else the opportunity to act with mercy on the behalf of others. Jesus said, "It is more blessed to give than to receive." The character of Logan in The Wolverine is fascinating because he is someone who plainly needs forgiveness and redemption to reclaim his worth as a super hero. Ultimately his 'redemption' in The Wolverine comes through the unfolding narrative and not through any specific act of absolution conveying forgiveness. As the credits roll true redemption remains seemingly out of reach for Logan. The Wolverine is better than a lot of other super hero movies. It's even better than other Wolverine movies. With its smaller scale and more personal story line it has more in common with 2011's Thor than it does with this year's Man of Steel. The places where The Wolverinedoes fall down a bit is in its uneven special effects. There are some spectacular scenes (like the bullet train sequence) but there are some less than stellar moments like the CGI grizzly bear near the beginning of the film. What saves the film, and ultimately makes it worth watching, is Hugh Jackman’s performance as Logan and the film’s strong first two acts. There are some intense moments that will make the squeamish uncomfortable and Logan is a morally ambiguous character — sometimes noble, sometimes overtly sinful — so this is not a movie for children or young teens. 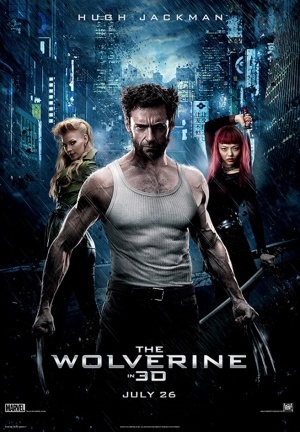 Plus, it may also be the first movie featuring Wolverine where we see blood on his adamantine claws. In the midst of the action this film does ask some bigger questions; questions for which Christians have answers. The big time comic book fan out there already knows this and has already seen this film and knows where the script of the movie has deviated from the comic books. For example the numerous plot-lines involving Superman and Kryptonite (a substance that takes away his powers). Judges 15:14-17 "Then the Spirit of the LORD rushed upon [Samson], and the ropes that were on his arms became as flax that has caught fire, and his bonds melted off his hands. And he found a fresh jawbone of a donkey, and put out his hand and took it, and with it he struck 1,000 men. And Samson said, “With the jawbone of a donkey, heaps upon heaps, with the jawbone of a donkey have I struck down a thousand men.” As soon as he had finished speaking, he threw away the jawbone out of his hand. Romans 8:23-25"we ourselves, who have the firstfruits of the Spirit, groan inwardly as we wait eagerly for adoption as sons, the redemption of our bodies. For in this hope we were saved. Now hope that is seen is not hope. For who hopes for what he sees? But if we hope for what we do not see, we wait for it with patience."